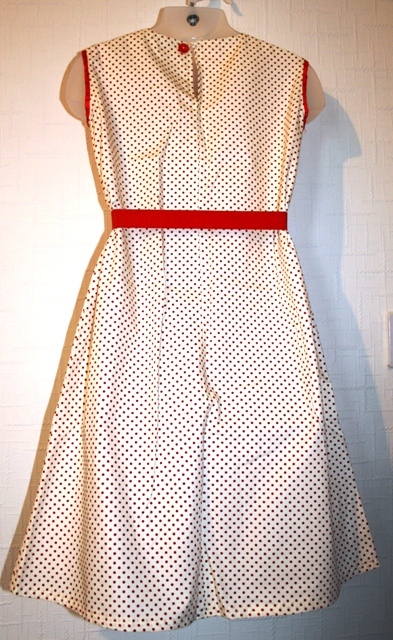 The fabric is cream cotton with a dark red polka dot pattern on it. 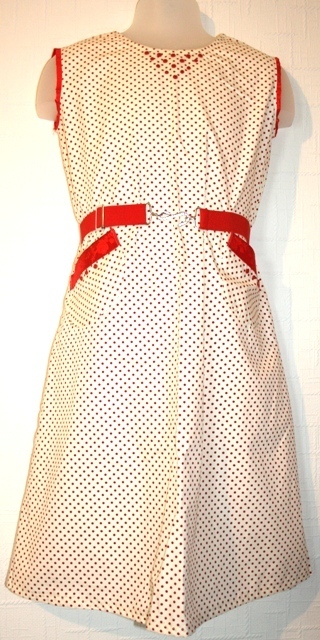 The dress has a round neckline, is sleeveless, has a back neck slit with a button fastening. There are front piockets trimmed in satin ribbon as are the armholes. The neckline has tiny button decoration too. 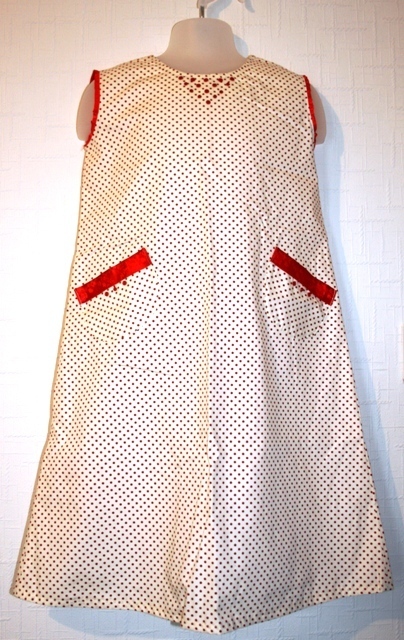 A pretty dress to fit approx age of 9-10 years.